It's no longer a laughing matter, or maybe it still is for some. The nominees for the 2016 Edinburgh Comedy Awards (sponsored by lastminute.com) are here. James Acaster will be relieved to see his name on there for a fifth consecutive year (fourth for Best Show), so that's nice. However, only one female comedian was deemed hilarious enough to make the list, so congrats to Zoe Coombs Marr who made the smart move and played a man. We're sad to see the likes of Felicity Ward, Fern Brady and Sarah Kendall overlooked entirely, perhaps no surprise given that since 1981 only three female solo comedians have won Best Show. 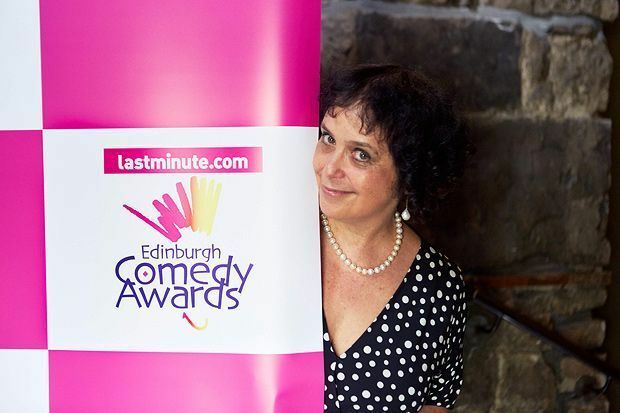 Nica Burns, director of the lastminute.com Edinburgh Comedy Awards said: 'Two great nomination lists! 2016 reflects the breadth and quality of comedy at the Edinburgh Fringe with eight nominations for Best Comedy Show for the second year running. Four outstanding stand-ups, a female comic performing in character as Dave, a novel-writing puppet, a wonderful story teller and a comic who is as moving as he is funny. An international list with four UK artists, three Australians and a Dubliner. 'The six nominees for the Newcomer award are equally international with an Australian and an American, and the vibrancy of the Scottish stand up scene is reflected in the nomination of Glaswegian Scott Gibson and the Best Show nominee, Richard Gadd. The winners will be announced Sun 28 Aug at Pleasance Courtyard. The 2015 winners were Sam Simmons: Spaghetti for Breakfast for Best Show, and Sofie Hagen: Bubblewrap as Best Newcomer.